LG5A Manhole Lifeguard Safety Sytem | M.J. Friedl & Associates, Inc.
Pelsue’s Lifeguard Systems function as 3 in 1 Confined Space entry systems. 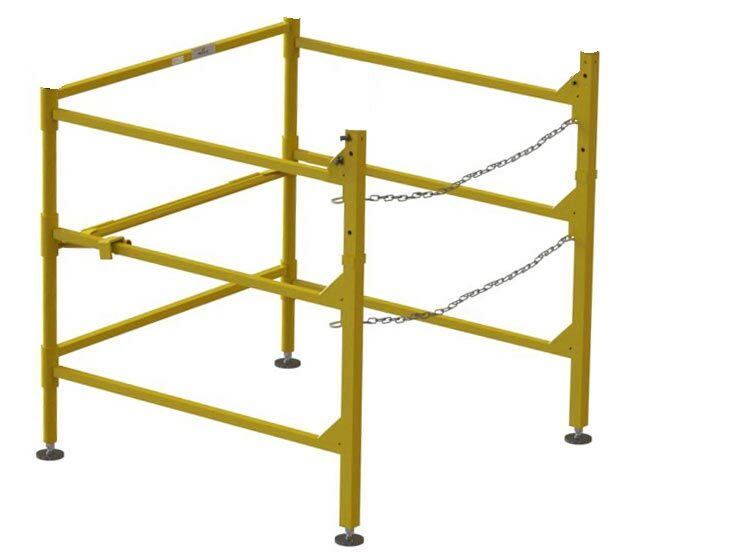 These systems act as an OSHA compliant barrier for the confined space, fall protection anchorage, and rescue and retrieval system. Designed for easy breakdown and setup, the Lifeguard won’t impact your efficiency and will help insure a safe working environment. Made with durable aluminum and steel the unit will last for years with proper care. These systems are capable of supporting a hoist, winch, Self Retracting Lifeline (SRL), 3-way unit or a combination of devices to best suit your application. Compliant with standards such as OSHA 1910.146, OSHA 1926, ANSI A10.14, and ANSI Z117.1. One Person setup – the upper assembly will support itself with only one attached to the lower assembly. Overhead Proof Load: 5000 lbs. System complies with OSHA safety standards when used by a competent individual. 1 ea. winch bracket & mounting plate for use with standard retrieval winch. 1 ea. Pulley assembly with auto-lock carabiner. Set of flexible draw latches to anchor the assembly to the guard assembly. The device or system is tested to insure compliance with OSHA Safety Standards for confined space rescue and retrieval or fall arrest for personnel. The device or system is intended to be used for confined space rescue and retrieval or fall arrest by a worker who is trained as a “competent person” and/or “qualified” per OSHA Safety Standards.